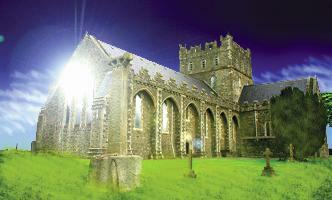 In the lush midlands south west of Dublin lies the tiny town of Tulllow in the diocese of Kildare and Leighlin. In 1807, on February 1st, the Feast of St. Brigid, six women responded to an invitation from its Bishop, Daniel Delany to dedicate themselves to a life of prayer and education of the poor. On that day they made their way from their homes in Tullow and its surrounding farms to the simple building beside the church that the Bishop had built for them. It was on this day that he planted in the Tullow grounds a sapling he took from St. Brigid’s oak tree in Kildare to symbolise the link to that ancient place of learning and Celtic Spirituality. He dedicated the Sisters to Mary, the Blessed Virgin and chose Brigid as their patron saint, calling the first members of this revitalised congregation after the ancient order of St. Brigid, Brigidine Sisters. Bishop Delany lived only 7 years after he set up this fledgling group, one of the first congregations of religious women to be founded in Ireland since the Reformation. He entrusted this small group to Miss Judith Wogan-Browne, an Irish women from a wealthy family who had been educated in a Benedictine Convent in Belgium. She never became a member of the Congregation, but used her wealth and wide social contacts to train and educate these first members of the Brigidine Congregation. 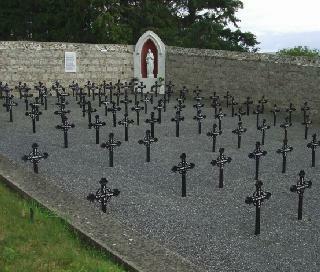 She lived in the Convent with them, dying there at the age of 93 and is buried with the Sisters in the Convent cemetery in Tullow.